Ms. Bulat practices in our real estate department. 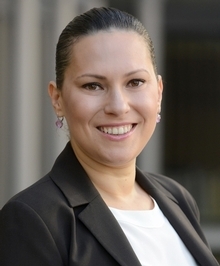 She concentrates her practice in commercial and residential transactions and represents purchasers, sellers, developers, and sponsors in all transactional aspects from negotiating a contract to closing. Her practice also includes representing landlords and tenants in commercial leasing deals, cooperative apartment buildings for unit sales and lenders and borrowers in connection with secured real estate lending and financing.